Ancient artworks from Europe and the Americas hold clues that suggest aliens and UFOs have been visiting earth for many centuries. 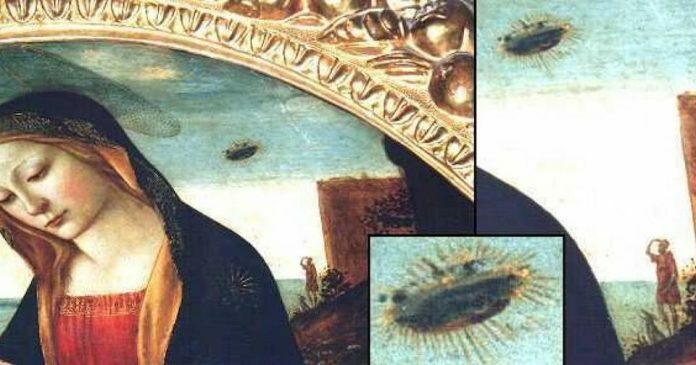 Many centuries-old European religious paintings, cave drawings and elaborate tapestries contain signs, symbols and shapes that closely resemble UFOs and extraterrestrials. But these images are deeply controversial, with some art experts saying they are not evidence of UFOs, and are actually just simple misreadings of religious symbols. 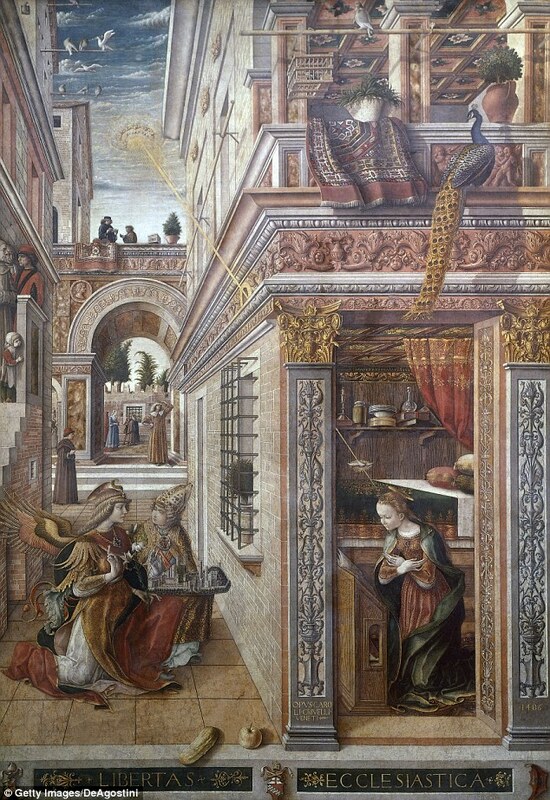 This alter piece was painted by Italian artist Carlo Crivelli. 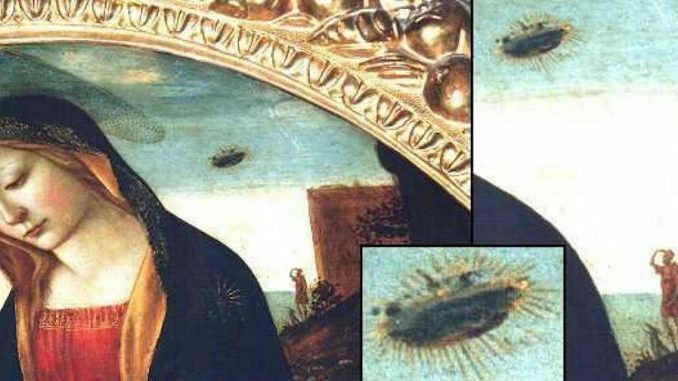 Conspiracy theorists suggest that the ring depicted in the top left shining light onto Mary is actually a UFO spacecraft. Urobune refers to a mysterious, unknown object that was found drifting off the coast of Eastern Japan’s Hitachi province in 1803. 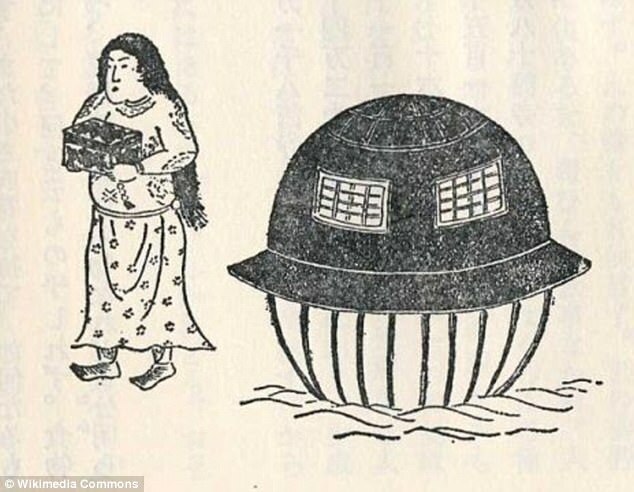 This illustration from ‘Ume No Chiri’ depicts the UFO-like object, which Hitachi sailors discovered floatinf in the ocean. Conspiracy theory YouTube channel Strange Mysteries made the odd connection between the two in a video posted in 2014. They claim in the video: ‘This just looks a little bit too uncanny for symbolic reference. 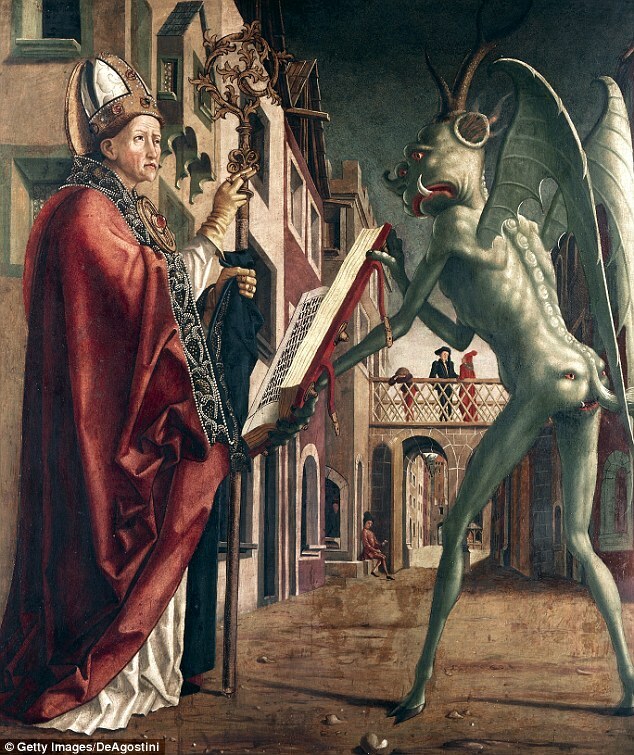 Famous 15th century German Renaissance painter Michael Pacher created this work around a legend that Saint Wolfgang tricked the devil into building a church. Conspiracy theorists claim that the figure depicting the devil in the painting could be a representation of an alien. 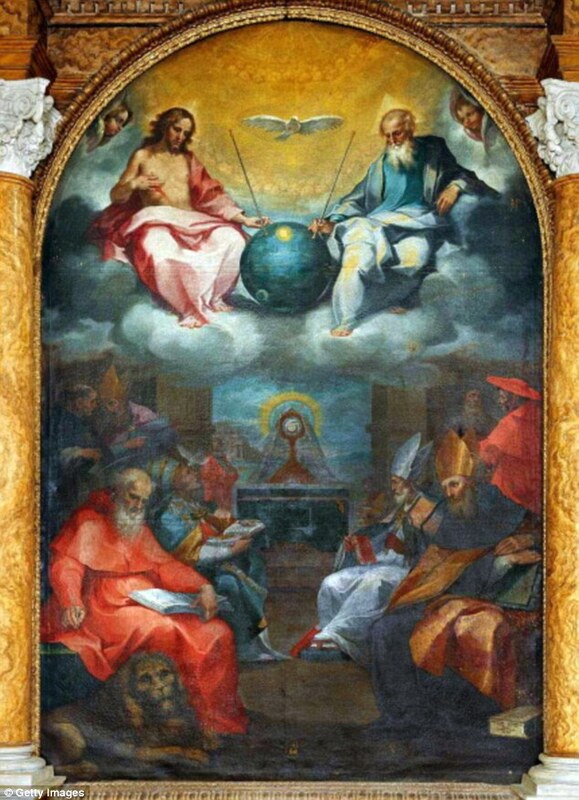 Art experts suggest that this painting is a reference to a passage: ‘The heavens opened, and the Spirit descended like a dove and (put) lighting upon him’. 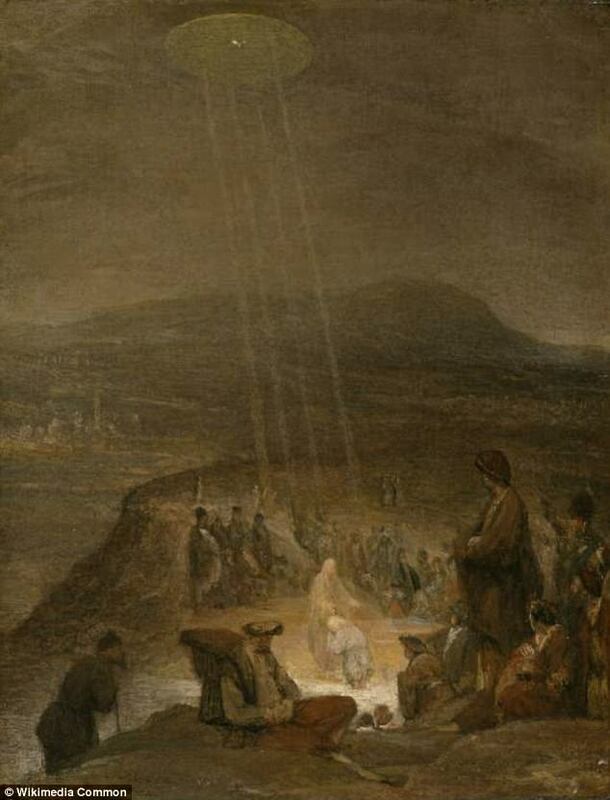 UFO hunters suggest that the disk-like object shown shining light onto John the Baptist and Jesus could be a UFO. 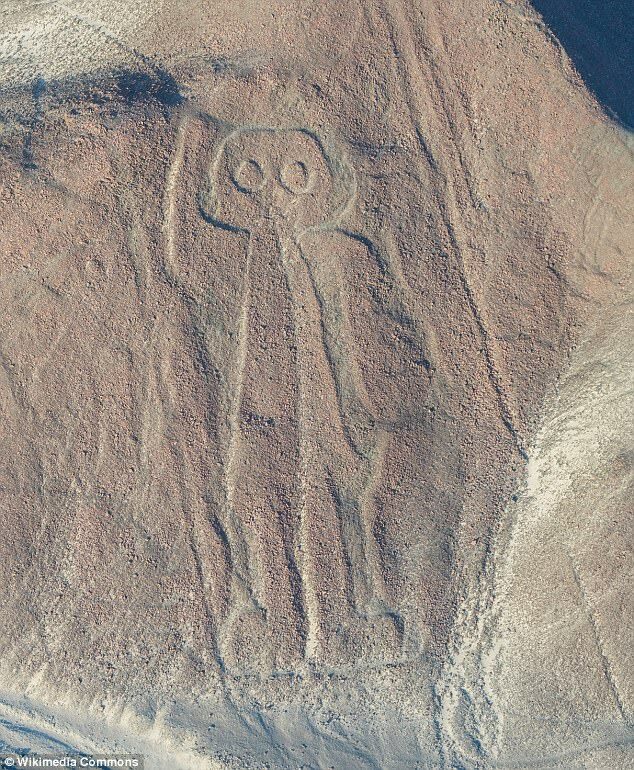 Ancient Peruvians, such as the Nazca people, are famed for their centuries-old carvings in the Peruvian desert. This image shows a 6th century Peruvian hill carving that appears to depict an alien-like figure. In this painting, Italian Renaissance artist Domenico Ghirlandaio depicts Mary mother of Jesus looking down on two children. 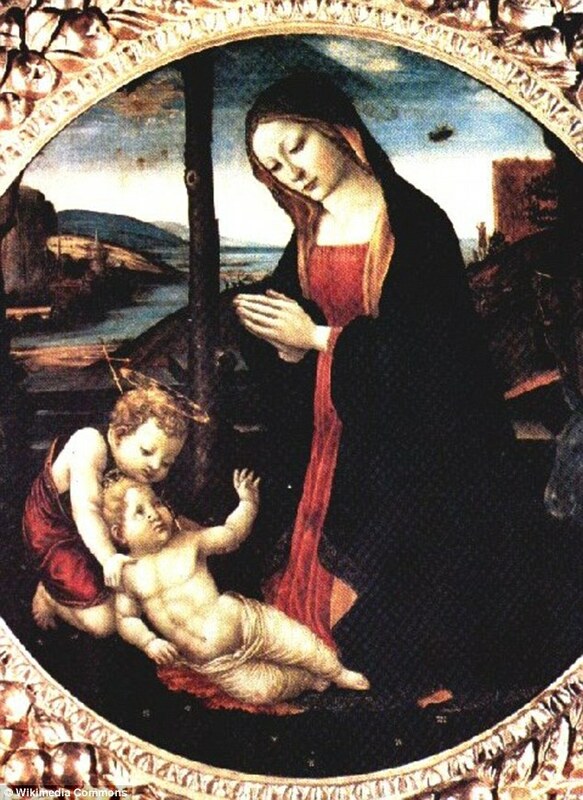 To the right of Mary’s head, a strange flying object can be seen in the background, which some UFO hunters think is a UFO.